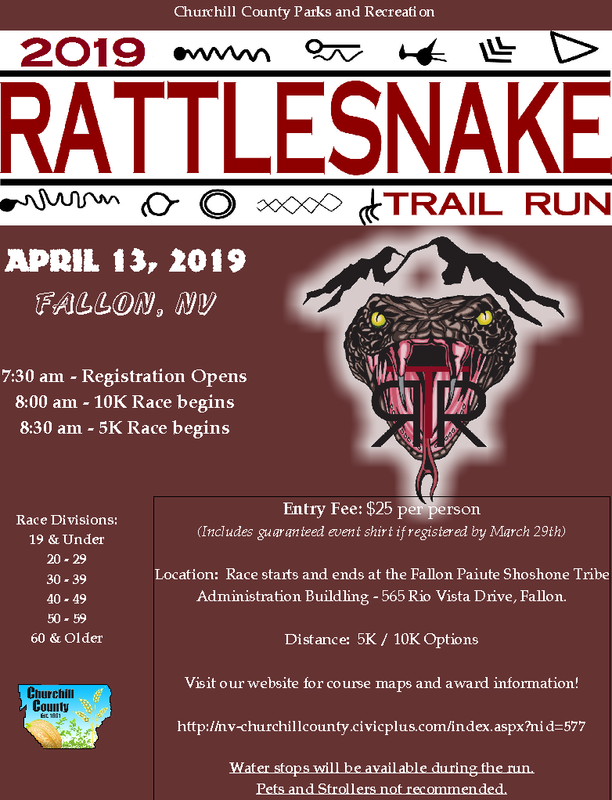 Churchill County Parks and Recreation is proud to offer the annual Rattlesnake Trail Run. 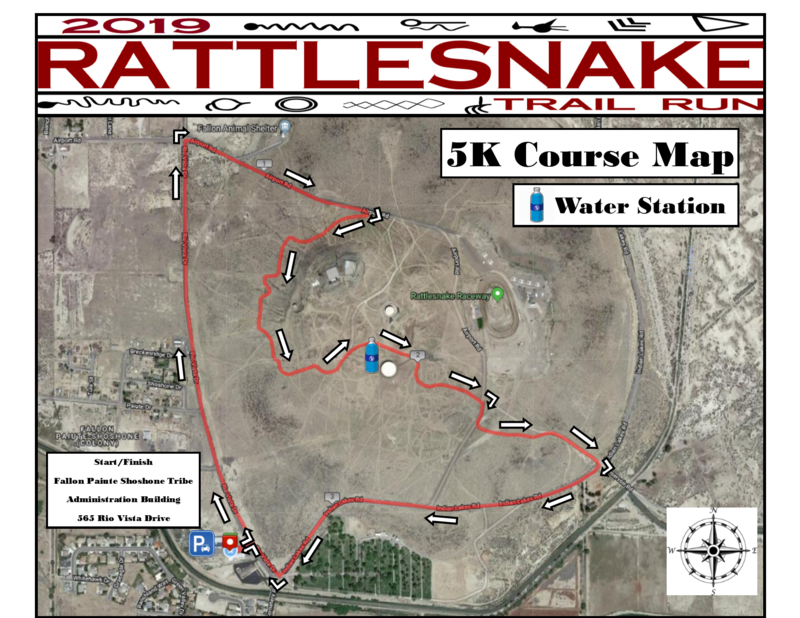 Challenge yourself with a run around and above Rattlesnake Hill located in Fallon, NV. 5K: Medals will be provided for the top 3 men and women in their age group. 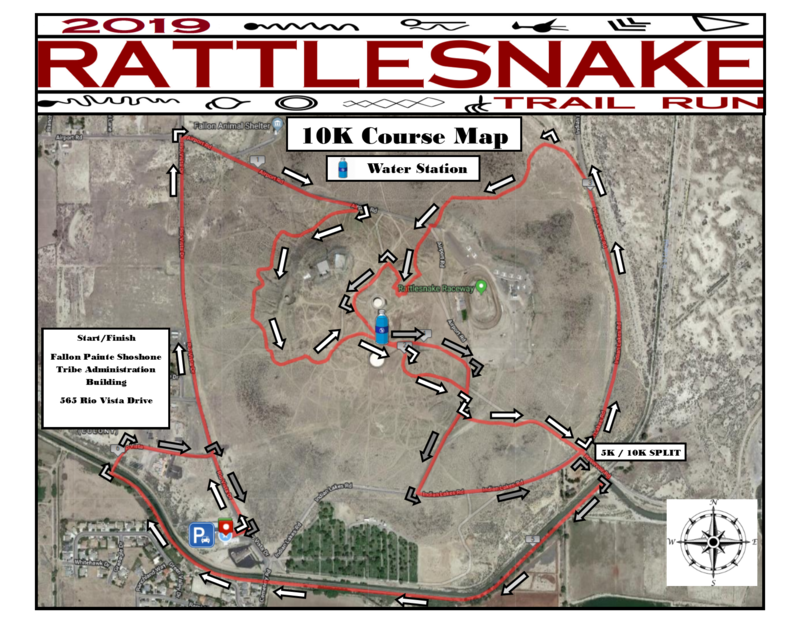 10K: Medals will be provided to the top 3 men and women in their age group based on current registrations on Friday, March 29th at 5:00 p.m. Those who register for the 10K after this date and time may not receive a medal - even if finishing in the top 3 of their age group.